When setting up embedded subreports in ActiveReports, the principles are the same as when setting up simple subreports but are applied to the child-grandchild reports. Note Subreports will not render PageHeader/Footer sections. This walkthrough illustrates how to set up embedded subreports. To complete the walkthrough, you must have access to the NorthWind database (NWind.mdb). When you have finished this walkthrough, you will have a report that looks similar to the following. E m st I- a nd a! 1. Open a new project in Visual Studio. 2. Click on Project > Add New Item. 3. Select ActiveReports file and rename the file rptEmployees. 5. Click on Project > Add New Item. 6. Select ActiveReports file and rename the file rptOrders. 8. Click on Project > Add New Item. 9. Select ActiveReports file and rename the file rptCustomers. 10. Click Open. 1. Click on the yellow report DataSource icon in the Detail section. This brings up the report DataSource dialog box. 4. Click on the ellipsis to browse for the access path to NWind.mdb. Click Open once you have selected the appropriate access path. 6. In the Query field, type "Select * from employees". 7. Click OK to return to the report design surface. 6. In the Query field, type "Select * from orders inner join [order details] on orders.orderlD = [order details].orderID where orders.employeelD = <%employeeID%>". Click on the ellipsis to browse for the access path to NWind.mdb. Click Open once you have selected the appropriate access path. In the Query field, type "Select * from customers where customerID = '<%CustomerID%>' ". Click OK to return to the report design surface. 1. Click in the dark gray area underneath rptCustomers to select the ActiveReport. 2. In the properties window, change the ShowParametersUI property to False. 1. Add the ActiveReports viewer control to a Windows Form. 2. Add the code needed to set the viewer document equal to the report document. 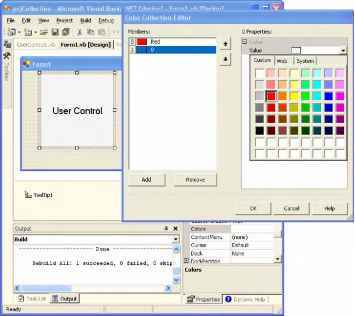 See Using the ActiveReports WinForm Viewer for help.